Bruno Magli Brown Python Embossed Snakeskin. 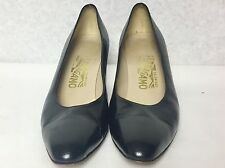 Slingback Open Toe Kitten Heels. Materials: Python Embossed Snakeskin. Style: Slingback. Heel: 2" (Kitten). Patent Leather. Size 6 Narrow. Faux Snake Skin Texture. 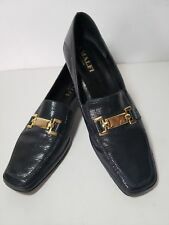 Gently used, minor scratches on the heels, overall nice and clean. Heel length “3”. Rounded two with low leather wrapped heel. Leather upper and leather sole. 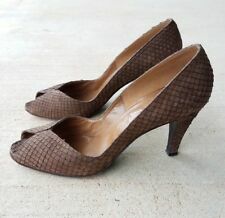 1 Pair No Box Pair By Naturalizer SNAKE Print Brown Heels 8AA (box 18). IN NO WAY DOES THIS EFFECT THE FUNCTIONALITY OF THE ITEM. NOR WILL IT BE SEEN WHILE WEARING.